Rowland was an Ensign in the 3rd Regiment of Guards, serving with distinction under Lord Cathcart at Copenhagen 1807. He was M P and Deputy Lieut for Herts., Deputy Grand Master for Essex. A portrait of Rowland was in the possession of his son Sir Francis B Alston 1899. Cornet Rowland Alston 14 Jul 1803. Hertfordshire: Lord Grimstone, Mr A Smith, and Mr R Alston relected without opposition. Ipswich Journal 5 Aug., 1835. In loving memory of Rowland Alston Esq. of Pishiobury Herts. Served as Ensign in H.M. 3rd Regiment of Foot Guards in expedition to Copenhagen 1807. M.P. for this County 1835. Deputy Lieutenant for Herts, Essex, Bedfordshire and Justice of the Peace for Herts. and Essex. Chairman of Quarter Sessions and in Masonry, Provincial Grand Master for Essex. b. 7 June 1782 d. 21 Nov 1865. Also of Rose, his wife, eldest daughter of Jeremiah Milles of Pishiobury. A loving mother and true friend she lived her life as in God's sight for the happiness and welfare of her family and the people of this place. b. May 24 1782 d. 19 Feb 1824. Erected by their two surviving children Francis Beilby Alston K.C.M.G. and Caroline Hesketh Case. Chelmsford PRO D/DGe/253 Lease by Roland and wife Rose & others of a Messuage, brick house, and lower farm house comprising 123 acres in West Hanningfield. 1833 Rowland Alston and Mrs Milles are recorded as resident at 48 Harley St London. Report of Rowland Alston conveying an apology on behalf of a Capt Townshend for an insult to Sir Robert Peel. The Times 14th May 1841. House Commons resumed debate on sugar duties 13 May 1841. Mr. R. ALSTON said, that approving, as in general he did, of the principles and policy of her Majesty's Government, he had, as was well known, given to them his invariable and zealous support, and he entertained a sanguine hope that in the measure which they meant to propound on the present debate would prove a remedy for existing evils, a remedy which would materially benefit not only the financial and commercial interest of this country, but also the population, by enabling them to purchase the common necessities of life at less exorbitant prices than at present. The agricultural and commercial interests of this country were inseparable, and he knew from experience that when the price of bread was lowest, the people had always suffered the greatest distress, and if any alteration of the existing corn laws was proposed, he should give it his most strenuous opposition. (Cheers from the Opposition benches.) No person could abominate slavery more than he (Mr. Alston) did; but he could not understand how the question of the sugar duties could by any contrivance or ingenuity be brought to bear upon the question of slavery. On the 12th day of June last, the Rev Henry Thomas Lee was instituted to the vicarage of Helhoughton with Rainham St Martin annexed, in the County of Norfolk, on the presentation of Rowland Alston and John Hillyard, Esq., nominated by Lord Charles Townsend. RICHARD STIFF, CHARLES LUCY, theft : simple grand larceny, 28th June, 1820. 839. RICHARD STIFF and CHARLES LUCY were indicted for stealing, on the 23d of March, 200 lbs. of hay, value 10 s. , the goods of Rowland Alston , Esq. MR. ALLEY conducted the prosecution. ROWLAND ALSTON , ESQ. I reside in Harley-street, and have a coach-house and stable there. Stiff was my coachman. The witness, Foort, had been six or seven weeks in my service - Stiff hired him, and caused him to be discharged. Foort charged Stiff with stealing hay. I said then I was satisfied it was not true, and was ready to give him every assistance to punish the boy for so false a charge. About two days after Stiff took a warrant out against him. Cross-examined by MR. BROADRICK. Q. The charge for stealing hay was made by Foort, after Stiff took him before a Magistrate for an assault - A. No: he informed me of it two days before. DANIEL FOORT . I was stable-boy in Mr. Alston's service. The first week I went into his service, about six o'clock in the morning, I saw a cart drawn up to the loft-door, and hay pushed into it - I did not see Lucy with the cart then, but have seen him three times with it before, at the same place. Stiff put three or four trusses of hay into it, apparently - nobody but him had an opportunity of doing it - the loft communicates with his bedroom. When the cart drove away, some hay was scattered over the ground, and Stiff swept it up to the dunghill. Cross-examined. Q. Where did you come from before you lived with Mr. Alston - A. I came from Ruslip parish, but had only been in town a short time. I told Mr. Alston I had lately come from the country. Q. When you heard you was to be discharged, did you not use violent language to Stiff - A. No: I only d - d him, and said I would talk to his master, and then I should be sure to do him. I made no charge against him before, because I thought he had got me the place. EDWARD FOORT . I am uncle to the last witness, and in the service of Mr. Ricardo, whose stable-door is exactly opposite Mr. Alston's. I have seen a cart there once, or twice, early in the morning - hay was put into it, and it was trod down - the cart was filled. Stiff pushed it out of the loft into the cart, - it was rubbishing, loose hay, not trussed. WILLIAM WAINWRIGHT . I am an officer. On the 25th of May I apprehended the prisoners. Stiff said he had given some hay to Lucy, but it was the sweepings of the loft and he received nothing for it. ANDREW LANE . In March last I supplied the prosecutor with hay, it was good hay and all fit for use. [from Scope and Content] Assignment from Charles Vere Ferrers Townshend, younger son and devisee of George [2nd.] marquess Townshend, with the consent of the creditors of the said Charles, listed in the attached schedule, to Rowland Alston of Harley Street, co. Middlesex esq., Henry Loftus of Wimpole Street, co. Middlesex a colonel in the King's army, John Robbins of Warwick Street, Golden Square, co. Middlesex auctioneer and Thomas Vandergucht of Craven Street, the Strand, co. Middlesex gent. reciting that whereas the said marquess by his will dated 19 July 1811 left to Lord John Townshend and Robert Blake esq. all his lands etc. in trust to pay his debts, maintain the mansion houses at Rainham in Norfolk and Tamworth, and to provide an annuity of L.4,000 for 21 years for the said Charles his younger son, and whereas the said Charles had incurred certain debts and claimed L.10,000 from the said trustees, and whereas books, plate and pictures due to the said Charles were valued at L.8,000, and whereas there was a debt of L.1,000 due to the said Charles from Daniel Henry Ferrall in Ireland and L.500 due to the said Charles from George Montgomery in France, and whereas the said Charles had received permission from the master in Chancery to take a lease of the said mansion house at Rainham and lands belonging to the same for the annual sum of L.630, the said Charles now assigned to the said Rowland, Henry, John and George the said annuity of L.4,000 and the said sums of L.8,000, L.1,000 and L.500 to hold the same in trust to pay the said Charles an annuity of L.1,500, the said books and pictures to be sold and the residue used to discharge the debts of the said Charles with interest at 5%. The said mansion house and lands to be assigned to the said trustees as surety for these debts and to be leased to the s aid Charles at the annual rent of L.650 to be deducted from the said annuity of L.1,500, the said mansion house and lands to be restored to the said Charles on the payment of the said debts. [from Scope and Content] Assignment by way of mortgage from Rowland Alston of Harley Street, co. Middlesex esq., Henry Loftus of Wimpole Street, co. Middlesex a colonel in the King's Army, John Robins late of Warwick Street, Golden Square, now of Regent Street, co. Middlesex auctioneer and Thomas George Vandergucht of Craven Street, Strand, co. Middlesex gent., at the direction and appointment of the Rt. Hon. 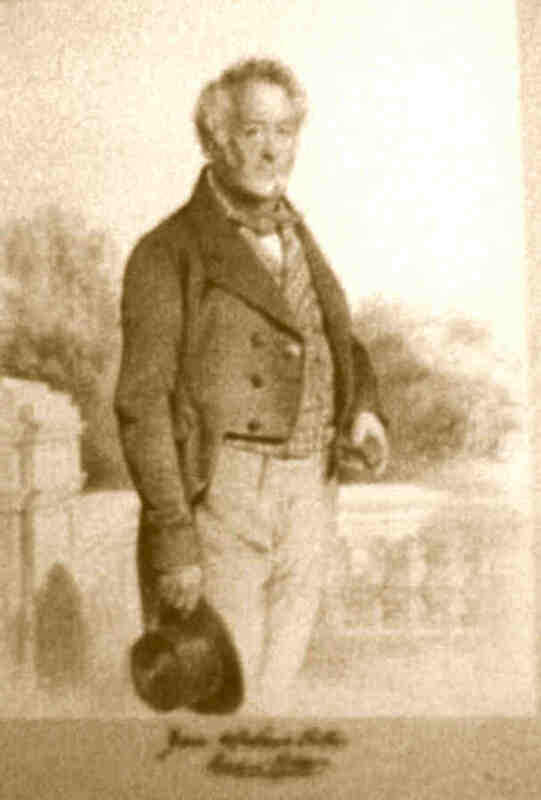 Charles Vere Townshend, younger son and devisee of the will of the most Hon. George [2nd.] marquess of Townshend, deceased, to Francis Lawley of Grosvenor Square, co. Middlesex reciting 562., of the annuity of L.4,000 for 21 years left to the said Charles under the will of his father, to secure L.20,000. The said L.20,000 to be repaid in three lots ending on 20 August 1833 during which time the life of the said Charles was to be insured for L.5000 at four Life Insurance Companies, namely the Provident, Globe, Albion and Westminster, provision being made for the payment of these premiums and other expenses incurred. [from Scope and Content] Signed and sealed by Rowland Alston, [Henry Loftus] John Robins, Thomas George Vandergucht and Charles Vere Townshend. [from Scope and Content] Appointment by the Rt. Hon. Charles Vere Ferrars Townshend, with the consent of Francis Lawley of Grosvenor Square esq., of Rowland Alston of Pishiobury, co. Hertford Esq. as receiver of the rents listed in the schedule attached named as security for certain mortgages outlined in 566. The attached schedule listed tenants and rents to be received under the following places all in Norfolk: East, South and West Rainham, Pattesley, Oxwick, Helhoughton, Toftrees, Tatterford, Shereford, East and West Rudham, Houghton Coxford, South Creake, Horningtoft, Stiffkey, Cockthorpe, Morston, Hempton, Colkirk, Weasenham, Scullthorpe [Sculthorpe] and Holt. [from Scope and Content] Signed: Chas. V.F. Townshend, Rowland Alston. Alston (Rowland). Correspondence with the 3rd Lord Hardwicke 1812-1818. Alston (Rowland). Letter to Sir H. Hardinge 1837. Alston (Rowland). Letter. to Sir F. Burdett 1826. [from Scope and Content] Rowland Alston and George Proctor junior, esquires, to Samuel George Smith and John Smith. Lord: Ravland* Alston, esq. Steward: William Shergeon Sims. Dates of Creation 1 June 1813. Scope and Content Lease for 7 years; at annual rent of L200. Rowland Alston of Pishobury (co.Herts.). esq., & wife Rose (formerly Rose Milles), & Harriot & Sophia Milles of Harley Street (co. Midx. ), spinsters, to Rich.Finch of West Hanningfield, yeoman. Messuages etc. called the Brick House & the Lower Farm House with 123a. land [no details] in West Hanningfield, with appurts. (except mines, minerals, quarries, timber etc.). (Sporting rights also reserved.) Various husbandry covenants. Records marked "access restricted" are subject to access conditions. Please enquire to Guildhall Library Manuscripts Section. Image Courtesy of family of J B Alston.